Used Heinzen Manufacturing International vibratory feeders for sale!!! Used Heinzen Manufacturing International vibratory conveyors for sale!!! We have many Heinzen Manufacturing International vibratory feeders and conveyors in stock. These used Heinzen Manufacturing International vibratory feeders are used to feed Yamato scales and Ishida scales. 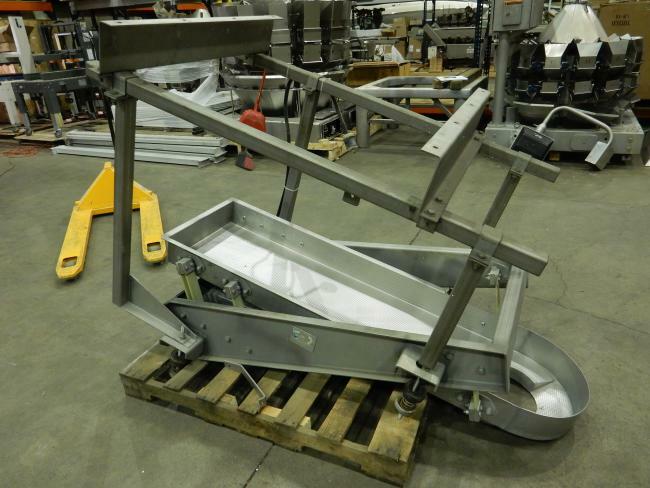 Used Heinzen Manufacturing International vibratory feeder for sale!! !